Any year now there will be another white Burgundy vintage that combines high quality and generous quantities (and perhaps it will even be 2015), but in recent years the stars have not aligned for most producers on the Côte de Beaune. The 2014 growing season began with the first healthy flowering since 2011, and as a result many producers optimistically anticipated a much-needed full crop of grapes, despite a bit of millerandage (shot berries, or “hens and chicks”). But the Côte de Beaune, for the third year in a row, was hit by destructive hail, which had its most severe effects in Beaune, Pommard, Volnay and Meursault, but was also felt in Puligny-Montrachet and as far north as Pernand-Vergelesses. And for the third consecutive year, small Côte de Beaune estates that make mostly red wine took the brunt of the damage, but Chardonnay yields were also dramatically reduced in many Meursault vineyards and elsewhere. 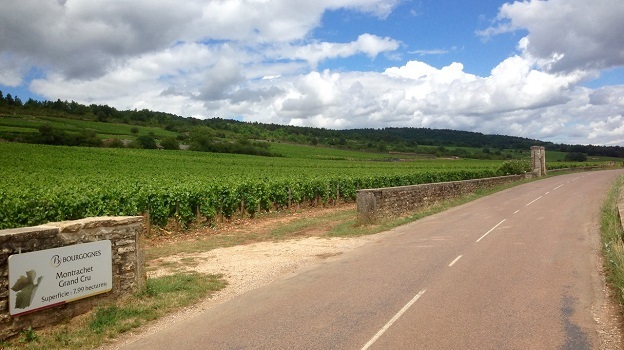 Many producers reported losses of 50% or more in some of their top sites, yet estates whose vines are almost entirely in Chassagne-Montrachet generally had close-to-normal crop levels. Fortunately, the hail came early enough not to have a meaningful effect on wine quality. On the contrary: 2014 looks to be another very successful crop of white Burgundies, in roughly the same quality league as 2012 and 2010. The early and regular flowering under warm, dry conditions at the end of May and beginning of June set the stage for a precocious harvest. But following the hailstorm of June 28, mediocre weather in July and early August, including sporadic rainfall, slowed down the ripening process and required vigilance against potential vine maladies. Then anticyclone conditions became established in late August and carried pretty much through the end of the harvest. Some growers even reported drought stress during this period, with a prevailing wind from the north exacerbating the dry conditions. But other estates described the weather as nearly perfect in September, maintaining that although the days were quite warm, the nights were cool enough to preserve acidity in the grapes. Grape skins thickened as juice was lost during the last days before the harvest. In the end, the grapes were mostly small and thick-skinned but not shriveled, and they retained sound levels of acidity. The first harvesters, mostly those in Meursault, started as early as September 9 (especially on those parcels where crop levels had been sharply cut back by hail), while others waited up to another five or six days to start. The harvest took place under mostly warm conditions. There were a few showery periods (particularly on the night of September 18), and then more substantial rain fell on September 24, but most estates were finished with their Chardonnay by then. Acidity levels were generally healthy, with a favorable balance between tartaric and malic, but there was also good sweetness to the grapes. The thick-skinned grapes had lost a percentage of their water, which helped to concentrate sugars and flavors. Growers who had been out of the path of the hail mostly described 2014 as an easy year in the vineyards and in the cellar. As a vintage, the 2014 whites show a lovely natural balance of fruit, flesh and acidity. The wines are for the most part a bit higher in acidity than the 2013s, but they are less likely to come across as sharp since they possess considerably more buffering material. Some wines show noticeable extract richness or even a bit of phenolic chewiness, no doubt largely due to the thickness of the grape skins and the high skin-to-juice ratio that characterized this vintage. Two thousand fourteen was not normally a vintage that needed the fattening influence of lees stirring, although several of the winemakers I visited in late spring used batonnage to counter what they thought was high acidity in their wines. The young 2014s were mostly fruity and easy to taste in late spring, although some wines were still finishing their malolactic fermentations. Fresh citrus and stone fruit elements give verve to the wines, and they show plenty of floral and mineral high notes as well. Two thousand fourteen appears to be a very good, classic crop of concentrated, fleshy wines that will offer good early appeal and age well. 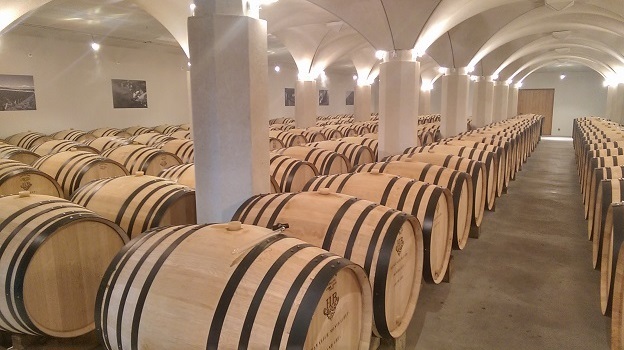 In my cellar visits in late spring, a few growers compared the 2014s to their 2010s in tautness, noting that the 2014s can possess even purer fruit, while others say that the ‘14s are less aromatically complex. But the fruit in 2014 was ripe and clean, and the concentration and dry extract in the young wines suggest that there is more ahead for the ‘14s. Most growers agree that while the 2014s are fruity in their youth and relatively easy to taste, they will have at least mid-term aging potential. Some rate 2014 higher than 2012 for its greater fruit definition. The earlier year, after all, had experienced trickier growing conditions and more disease pressures. The 2012s, by the way, are already closing down in the bottle, and I’m not convinced that the 2014s will behave the same way, since they generally show excellent balance today. The majority of producers prefer 2014 to 2013 for the greater fleshiness, density and richness and the generally healthier grape skins of ’14. The wines have an element of sweetness that will give them early appeal but they also have the material and balance to evolve gracefully in bottle. Some growers find these wines more accurate to their terroirs than the 2013s owing to the cleaner grapes, but others describe them as less minerally than the earlier group of wines or as having more baby fat that partly obscures site character in the early going. For the time being, the one question mark for the 2014s has to do with their ultimate structure. While many of the producers I visited in late spring believe that the vintage has all of the necessary elements for greatness, some question whether the 2014s possess ultimate grip and thrust and thus they are not (yet) willing to call the vintage outstanding. They wonder if the pHs are a bit too high for a great vintage, pointing out that it was quite warm during the harvest. In fact, my tastings of the wines in bottle make it clear that this is a vintage of rather heterogeneous quality. The best wines show brisk, intense elements of citrus and orchard fruits, white pepper and tactile saline minerality. They convey their terroir clearly and will please fans of classic white Burgundies. But others show signs of incomplete maturity: less flavor authority, cooler peppery notes, and slightly sour, fruit-deficient finishes. Happily, I found a much lower percentage of wines plagued by rot in 2013 than I did in Chablis. 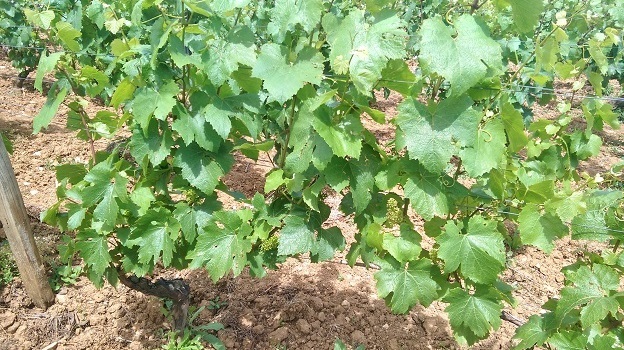 Although Chardonnay on the Côte de Beaune had to deal with rain showers and humidity during September, most of the best fruit was in prior to substantial rainfall on October 4 and 5. In Chablis, where the harvest began four or five days later, more fruit was still hanging in early October and as a result relatively few wines escape the exotic character of the vintage. Chablis also had somewhat higher rain totals in August and early September, leaving the grape skins even more vulnerable to rot. On the Côte de Beaune, in contrast, fruit that was sufficiently ripe on the early side was brought in under much better conditions and with generally healthier skins. Most of the wines in this article were tasted in the cellars at the end of May and beginning of June, but I tasted additional 2013s from bottle at home in New York in August and early September. As always, I have been intentionally conservative with my projected peak drinking window. Readers who enjoy their wines on the young side or do not have proper cellar facilities—or simply do not want to risk premature oxidation of their wines—should get pleasure out of most 2013s early. But with today’s extremely high prices for white Burgundies owing to strong worldwide demand and inadequate supplies, I would urge fans of these wines to be particularly selective with the 2013s.